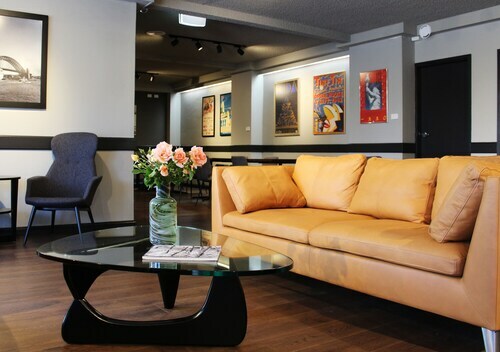 Located in the heart of Orange, this golf motel is within a 10-minute walk of Orange City Library, Orange Civic Theatre, and Orange Regional Gallery. Orange Visitor Information Centre and Duntryleague Country Club are also within 1 mi (2 km). 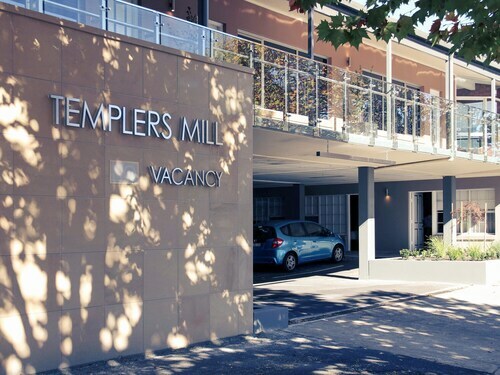 Situated in the business district, this hotel is within a 5-minute walk of Orange Civic Theatre and Orange Visitor Information Centre. Orange Health Service is 2.6 mi (4.3 km) away. 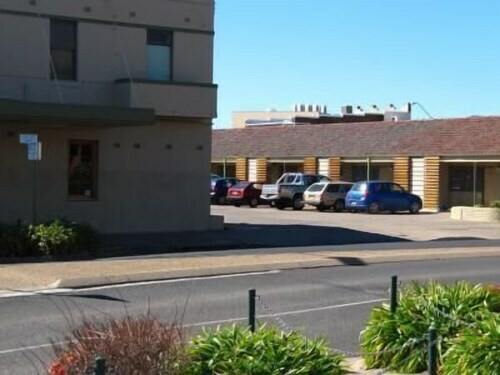 Situated in Orange, this motel is within 1 mi (2 km) of Duntryleague Country Club, Orange Civic Theatre, and Orange Regional Gallery. Orange Visitor Information Centre and Orange Botanic Gardens are also within 3 mi (5 km). Situated in Orange, this motel is within 2 mi (3 km) of Orange City Library, Orange Civic Theatre, and Orange Regional Gallery. Orange Visitor Information Centre and Orange Botanic Gardens are also within 2 mi (3 km). 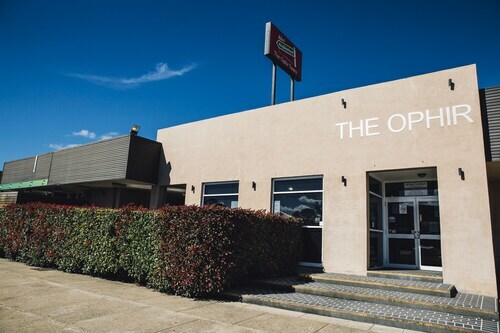 Situated in Orange, this motel is within 1 mi (2 km) of Orange Visitor Information Centre, Orange Regional Gallery, and Orange Civic Theatre. Orange City Library and Duntryleague Country Club are also within 3 mi (5 km). Situated in Orange, this motel is within a 10-minute walk of Orange Civic Theatre, Orange Regional Gallery, and Orange City Library. Orange Visitor Information Centre and Duntryleague Country Club are also within 2 mi (3 km). Orange East Fork Station is 26 minutes by foot. Orange is the city of colour in the heart of Central New South Wales. Its mild climate offers four distinct seasons that change with the colour of the leaves on its charming tree lined streets. 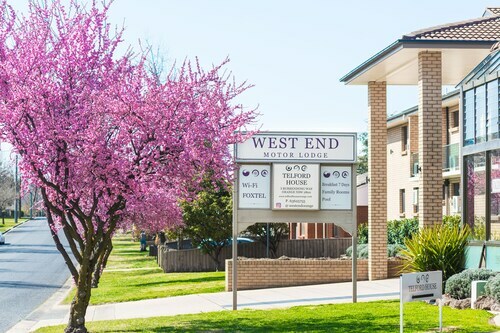 Whether you are heading to the region for relaxing country break or a wine and food adventure one of our Orange hotels will be the perfect place to stay. The Orange Farmers Market offer up the sweet and exotic produce of the regions rich volcanic soil and cool climate every second Saturday and are a must when you stay in our Orange accommodation. The restaurants and cafés in the area are a foodie’s delight as they serve up the delicious fruits, cheeses and of course wine all locally grown and produced. And if you do fancy a drop, the cellar doors of boutique wineries await. Take a tour or just wander your way through Orange’s Cabernet, Shiraz, Sauvignon Blanc and Chardonnay, they are the regions specialty. When you find the one for you, you can always buy a bottle and head back to your Orange hotel to enjoy a glass or two in the cosy comfort of your room. How Much is a Hotel Room in Orange? 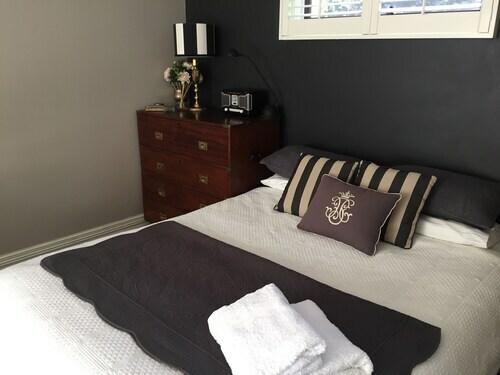 Hotels in Orange start at AU$90 per night. Prices and availability subject to change. Additional terms may apply. 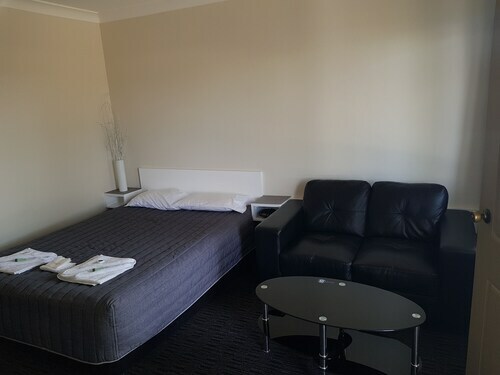 Clean & tidy room, basic services available. The location is good,easy to find.